Never underestimate the need for a good sidekick! You know, a co-pilot who can watch your back even when you’re traveling to some of the most dangerous places in the galaxy. Why, where do you think Han Solo would be without his number one bud, Chewbacca? Let’s just take a look at the movies, shall we? In Solo: A Star Wars Story, Han would have met a grim fate if Chewie had refused to help the young smuggler. Then, in A New Hope, the Wookiee co-pilot saves the day again by posing as a prisoner to gain access to the detention block. In The Empire Strikes Back, he was the first one to spot the Imperial Probe Droid, which most likely bought the Rebel Alliance and Han some extra time to escape from the clutches of Darth Vader. Then, of course, there’s the part in Return of the Jedi where he commandeers an AT-ST Walker to save Han from a squad of Scout Troopers. Had Chewie not been there to save his behind, Han would have been toast a long time ago! 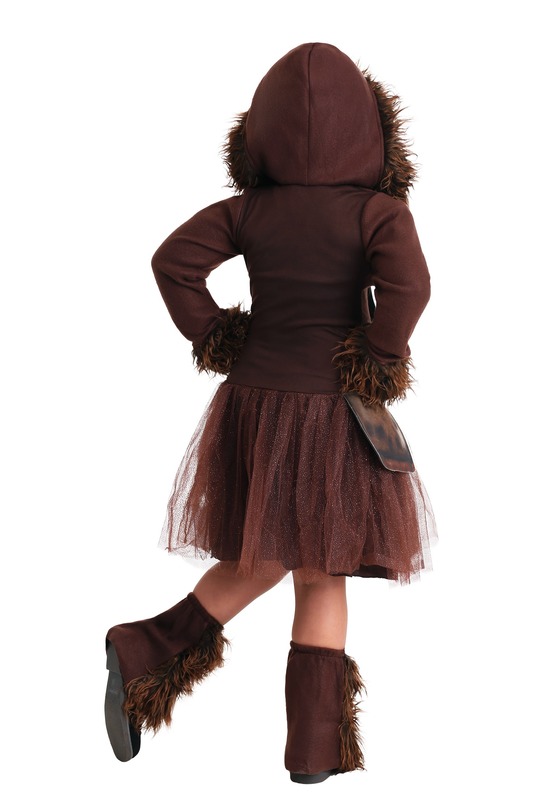 Well, if you’re looking to have the best sidekick in the galaxy at your side, then you’re going to want to dress your child up in this girls Chewbacca costume! It’s a cute outfit inspired by the Star Wars character and it’s an easy choice for any girl who’s a fan of the movies. It comes with a dress that has a faux fur hood attached to it. The exterior has plenty of printed details to make it look like Wookiee fur. The dress ends in a tulle skirt with glitter details on it. A pair of faux fur leg warmers finishes the costume look off, turning your little girl into the best co-pilot that you could ever ask for! 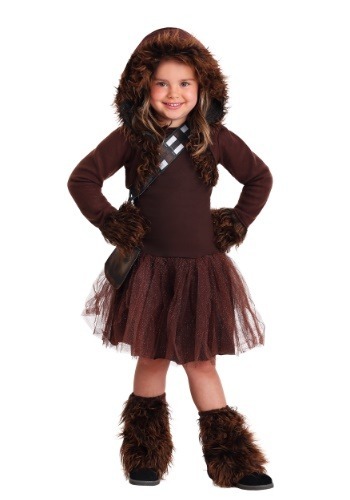 This Chewbacca costume might turn your little girl into the best co-pilot around, but she’s still going to need a pilot to help her get through the dangers of the galaxy! 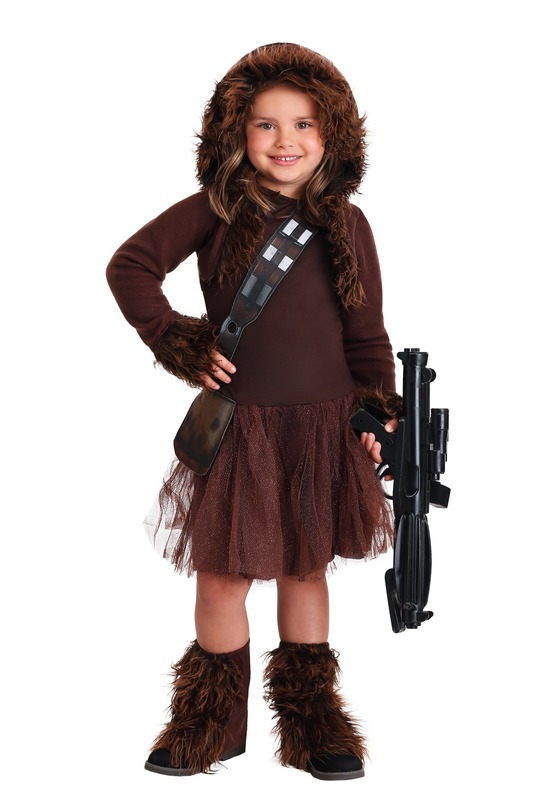 Be sure to check out our Han Solo costumes for both men and women to become your little one’s partner!